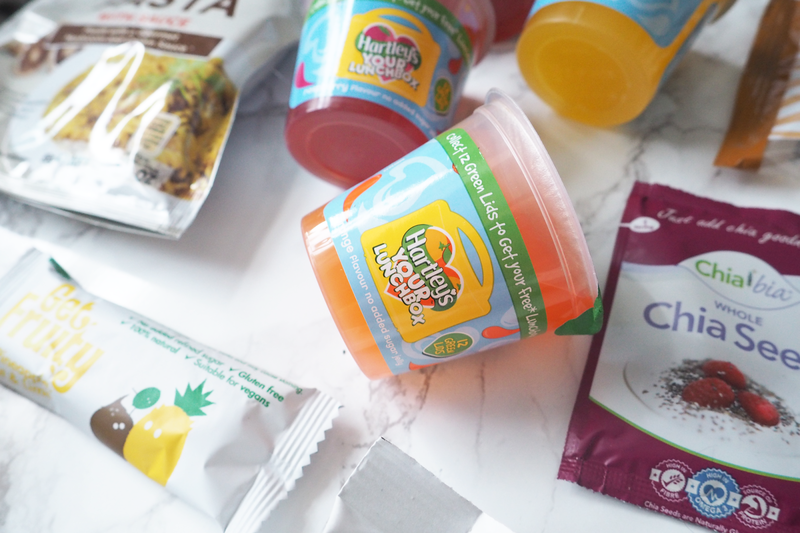 I've been getting Degustabox* for a while now, and if you'd like to read my previous posts you can find them here. 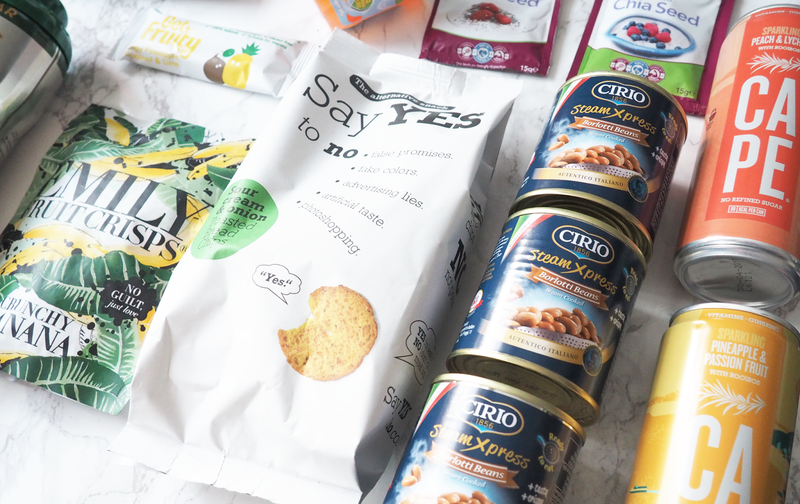 Snacks There are a few healthier snacks included in this months box which are great for having a little treat without having to feel guilty about it. The milk chocolate Metcalfe's Popcorn Thins (£1.00) are perfect if you are craving a bit of chocolaty goodness. They are light and crispy and being made from corn they have a unique crunchy texture. If you want something a little different, then these Get Fruity Bars (£1.00) are an award winning fruit and oat bar made with gluten free oats and virgin coconut plus having no added refined sugars. You can choose from six different flavours so you can mix it up to your preference. Something most of us will have had at some point is some jelly, so this Hartley's No Added Sugar Jelly Pots (£0.50) were always going to be a welcome choice, and being in a handy little pot it's a great portion size and very useful to take out with you. Another fruity snack included this month is this Emily Crisps Crunchy Banana (£1.75) which are a good combination of real fruit in a crunchy crisp form. Unfortunately I couldn't try these as I am allergic to bananas, but they would be ideal for someone who does enjoy the flavour. If you wanted something more on the savoury side, these Say YES to No Bread Chips (£1.49) could be for you. I received the sour cream and onion bread chips and they were a nice change from your standard pack of crisps. Meal Items More people are choosing gluten free items as a lifestyle choice or due to not being able to eat it, so it's nice to see that you can get handy packet mixes that are gluten free. This Mrs Crimble's Fusilli (£1.99) is a gluten free corn pasta with gourmet mushroom and cream sauce. It would be great on it's own as a little meal or could be used as part of a main meal. If you wanted to include something in your food to boost the nutrition content, These Chia Bia Whole & Milled Chia Seed Sachets (2 x £1.00) are packed with Omega 3 and Fibre, plus it's a great way to get Protein, Vitamins and Minerals into your diet. They are only very subtle so you don't tend to notice them when you include them, I never really notice they are in there. Another item you could include in some of your meals would be the Cirio Borlotti Beans (£1.89, pack of 3) which can deliver an intense and delicious taste. You can include them in a number of Italian meals such as spaghetti bolognaise. Drinks With so many sugary drinks out there, something like these Cape Drinks (2 x £1.59) would be much better for you and a refreshing change. They are a sparkling blend of anti-oxidant Rooibos Tea and fruit juices, with no refined sugar and only made from natural ingredients. The last item in this month's box is the Teisseire Sirop (£2.99) which is another variation of fruit squash. The raspberry and cranberry flavour is refreshing and also comes with zero sugar. It was a nice change to try a different style of juice, with them also available in Pink Grapefruit, Lemon and Grenadine. 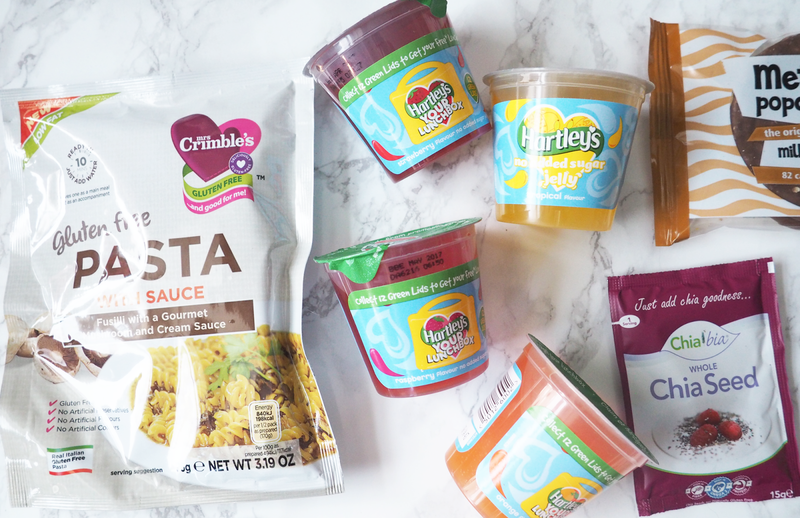 This months Degustabox seemed quite a healthy box which is good for these areas of your diet. 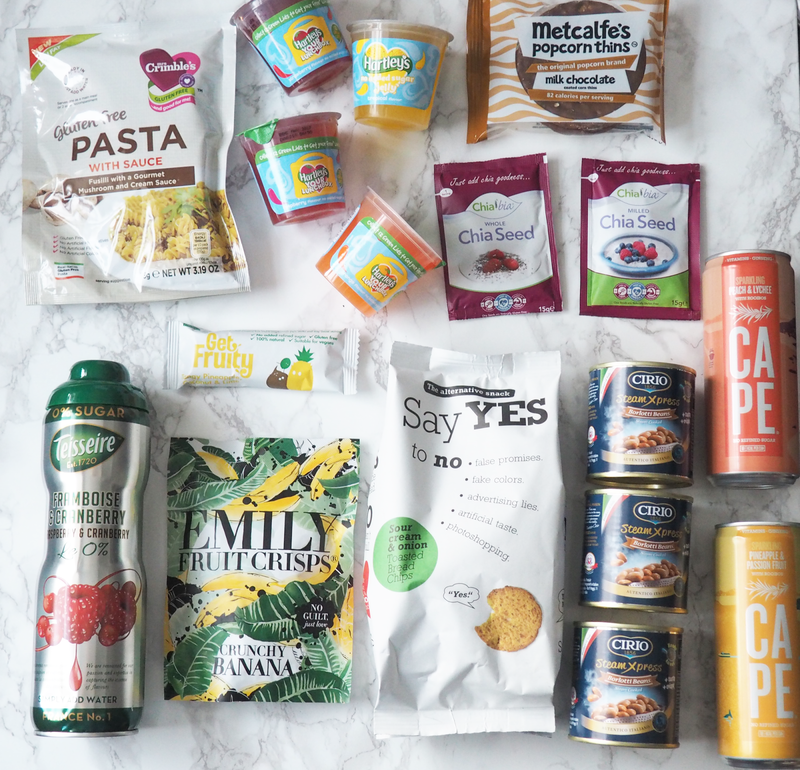 I do think the previous months have been better as they had a better variety included, having a good mixture of healthy items and treats. 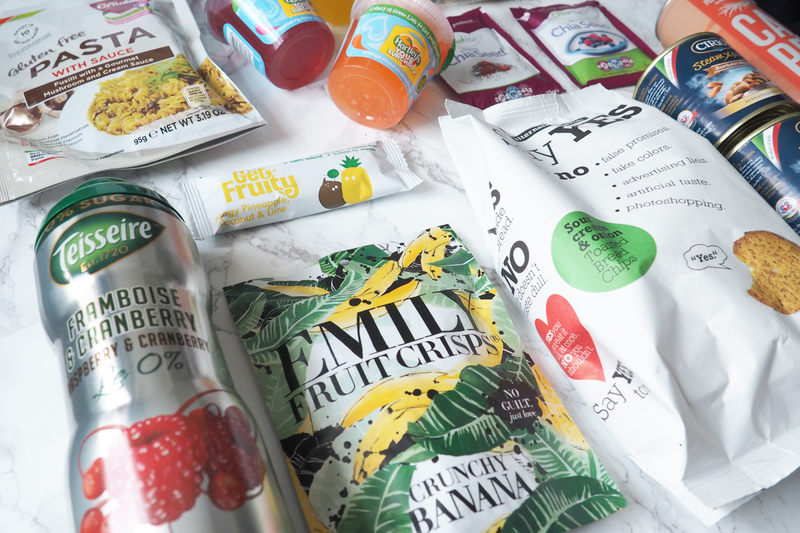 If you wanted to sign up for Degustabox, be sure to use the discount code BLDEG15 to get £7.00 off, just enter it at checkout.